TheSlotBuzz is as an independent product, brand review, and news site for online slot players. We provide all the information needed to enjoy exciting, fair and safe gaming at UK-licensed slot sites and casinos. We publish site reviews, game reviews, news and promotions, and tips and guides. TheSlotBuzz is designed for slot players of all types, from those playing for the first time, to high rollers with in-depth understanding and knowledge of the games and the industry. We publish site reviews to help you choose a slot site that delivers the kind of experience that you are looking for, whether your priorities be the games, the promotions, the payment options, customer services, withdrawals, licensing, or all of these things and more. Our ‘at a glance’ information boxes highlight the key features of each site, but you can also read comprehensive write-ups if you are looking for more detailed information. 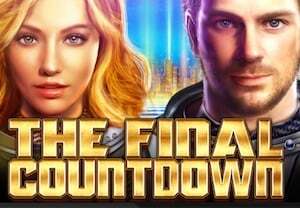 In our Slot Game pages we review the latest releases from all the major slot studios, as well as new, up and coming titiles. These reviews will help you to understand the games better and to choose new and exciting ones that you haven’t played before. Elsewhere on our site you will find a wide selection of articles with the latest news about casino operators and slot game suppliers, as well as tips and guides aimed to help you enjoy playing slots more. The vast selection of payment and withdrawal methods available to slot players in this country is a positive feature of our online casinos. Our cashier guides are here to help you to choose a slot payment method that suits you and to find a slot site that provides your chosen option. Meanwhile, with safety, security and fairness in mind, our licensing guides will provide assurances about the standards UK slot sites adhere to. All the reviews and articles on our pages are researched and written by our in-house team. Our writers have experience in the online gambling industry as both operators and customers, putting us in a unique position to give a real insight into the slot and casino world, with useful and reliable information. 2017 was a significant year for online gambling in the UK, with the spotlight very much on compliance and regulation in the industry. With gambling operators now under more pressure than ever before to provide a fair, safe and secure environment for their customers to play in, we bring you all the significant news and explain how it will affect your experience as a player. We whole-heartedly advocate Responsible Gambling and encourage all slot players to read our dedicated Responsible Gambling page for more information about how to enjoy gambling safely and responsibly. TheSlotBuzz is independent and impartial. We are nevertheless supported by advertising revenues generated from the slot sites that we feature in our pages.